Announcements, Ribbon Cuttings & Recognition. 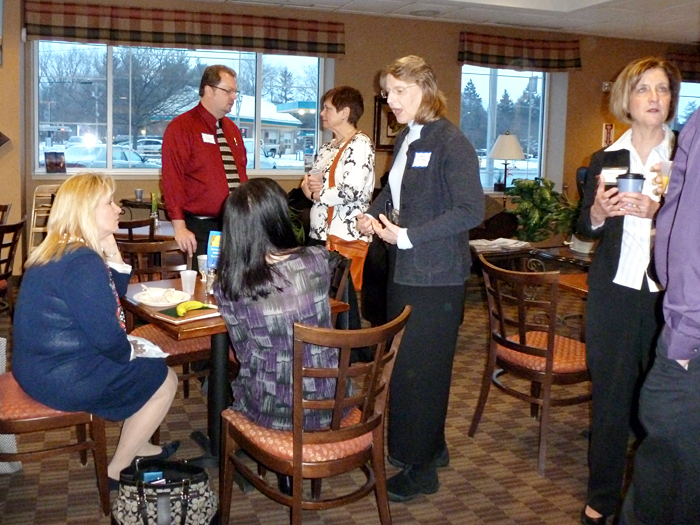 The Brighton Chamber will help you promote your business when you have something to announce. Don’t keep your good work a secret. Tell us all about it! You may end up the recipient of an award at next year’s luncheon. Ask us about our “ribbon cutting” service. Free! Send email to admin@BrightonChamber.org. Welcome New Brighton Chamber Member Eleventh Hour Gifts! Welcome new Brighton Chamber member Eleventh Hour Gifts! For 20 years Eleventh Hour has been successfully offering unique gifts and accessories for you and your home at prices you can afford. Eleventh Hour gift shop features unique gifts including jewelry, accessories, bath & body, home decor, baby, and even handmade gifts. Visit http://www.eleventhhourgifts.com for more details. The Brighton Chamber of Commerce with its re-energized focus on driving business to its member is excited to announce the launch of their iPhone application! Developed by Brighton Chamber member Nelson Lopatin, owner of iMobilenow.com, the Brighton Chamber of Commerce app is now available for FREE download from the Apple App Store! Go to: http://tiny.cc/vkgrl . This app uses the iPhone's built-in GPS to provide various member lists and a map of member businesses in order of distance from you, nearest first. It will enable users to locate and visit member businesses, learn about the organization and the Town of Brighton, NY. Welcome New Brighton Chamber Member Bop Shop Records! Welcome new Brighton Chamber member Bop Shop Records! The Bop Shop is a unique, independently owned record store in Rochester, New York that specializes in blues, jazz, rock, classical and American roots music styles like soul, rockabilly, surf rock and doo-wop, folk, plus Celtic and English folk. There is a huge selection of new, used, and vintage vinyl LP's, 45's, and CDs in all musical styles. The Bop Shop is owned and operated by Tom Kohn, who has made the Bop Shop a success for 29 years by sticking to the principles he started out with. He's a music fan and record collector and his employees are too. Visit http://www.bopshop.com/ for more details. Welcome new Brighton Chamber member Max Chophouse! Rochester's Best Steak House! Tuesdays… Come enjoy a three course menu crafted by our talented Chefs with complimentary wine selected by Sommelier, Janine Wasley. Come see why Max Chophouse is the place to be on Tuesday evenings. Visit http://www.maxrochester.net/chophouse/ for more details. The Board is excited to bring aboard Carlos Mercado as our first Director of Membership Development. Carlos, recently retired from J.P. Morgan Chase Bank after a career in international banking, has experience as a former President and CEO of the Greece Chamber of Commerce. He is also deeply knowledgeable about the Brighton community. Carlos’ mission will be to build our Chamber in much the same manner as he did with enormous success in Greece: individualized attention and one-on-one contact with our members and area businesses. Click here to find out more about Carlos and his goals. Matt Grinnell, Craig Webster, Nelson Lopatin, Marci Miller, Remy Fenster were all elected to the Chamber board of directors at the annual meeting in January. Immediately following the meeting the board met in special session to elect officers. Brennan Redmond was elected president; Ben Levy was elected vice president; and Rome Celli was elected treasurer. The position of secretary of the board is currently vacant. Click here for a complete list of Chamber board members. The Chamber board of directors is dedicated to driving business to our members. To help us achieve our goal Chamber board member & owner of iMobilenow.com, Nelson Lopatin, has developed a customized, FREE iPhone app. Click here to learn more and download the new app from the Apple App Store! Are you ready to partner with your Chamber & promote your business? First, get active online by connecting with us on facebook, twitter & LinkedIn. Second, scroll down to see our upcoming activities and get active! Third, check out the discounts on advertising, promotion & overnight accommodations below. Save some money!! Last, but definitely not least, let us know how we can help you promote your business! 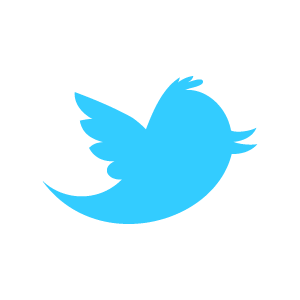 Event: Social Networking! | FREE! Registration required. What: Join your business colleagues from all over Brighton for some seriously fun "Social Networking." Yeah, we'll definitely get some business done but we'll have fun doing it! Free nibbles & cash bar (reduced prices, specialty drinks). Some of us will be sticking around for dinner. Everyone is welcome! Event: Toastmasters Demo Event | FREE to members. Registration required. Guest Speaker & Topic: Looking for a way to boost your business? This will be a demonstration meeting to learn about becoming a stronger public speaker and leader. Interested parties may join together to form a new Toastmasters club. Who: Open to the public. Registration required. Registration info is listed below. In addition to investment counseling Brighton Securities works with individuals and businesses to minimize their taxes. Together with their investment advisers they will build a total investment plan designed to retain and grow your assets. They stay on top of tax law changes so you don't have to. GateHouse Media's business model is to be the preeminent provider of local content and advertising in the small and midsize markets we serve. Get Noticed with RJF Marketing | 10% off to all Brighton Chamber members until March 31, 2012. RJF Marketing is a full service supplier of Promotional Items and Advertising Specialties. Our product offerings also include Office Supplies, Computer Supplies (including Re-manufactured Toners, Printer Ribbons and Ink Cartridges) and Printing (Business Cards, Letterhead, Envelopes, Multi-part Forms, and Labels). RJF Marketing has over 20 years of experience. You MUST mention you are a Chamber member before you place your order. Hemisphere Mgmt | Holiday Inn Express & Comfort Inn | 15% off at either hotel until March 31, 2012. If you would like to promote your business through a M2M discount, please let us know. The Brighton Chamber of Commerce with its re-energized focus on driving business to its member is excited to announce the launch of their iPhone application! Developed by Brighton Chamber member Nelson Lopatin, owner of iMobilenow.com, the Brighton Chamber of Commerce app is now available for FREE download from the Apple App Store! Go to: http://tiny.cc/vkgrl . This app uses the iPhone's built-in GPS to provide various member lists and a map of member businesses in order of distance from you, nearest first. It will enable users to you locate and visit member businesses, learn about the organization and the Town of Brighton, NY. * Apple Push Notification service - Get special member discounts and other breaking news delivered to your iPhone, iPad or iPod touch. * Business Directory - Select by category to find members within a cateory in order of distance from you, nearest first. * Nearby Members List - All members listed in order of distance from you, nearest first. * Nearby Members Map - All members located on a map; one touch to detailed information. * Each member on the map or list links to a description and includes one touch calling, one touch for a map or interactive driving instructions. * One touch access to connect with the Brighton Chamber of Commerce by phone, email, Twitter and facebook. * Information about the Brighton Chamber of Commerce includes About The Chamber, Goals & Objectives, Chamber Awards, Benefits & Programs and M2M Discounts. Announcements: The Brighton Chamber of Commerce launched it's new newly re-designed website: BrightonChamber.org. The site design follows approximately 18 months of discussion & planning. Earlier this year the Chamber announced a new logo and position statement; both are featured on the new site. The re-designed site posts a Chamber member's name & contact information near the top of the home page. A different Chamber member will be featured each time the page refreshes. There is no additional fee for this service. Members may now add relevant promotional information about their business into the online database so that visitors can easily find their products & services. The Chamber has also expanded its member benefits. Click here to see the list of member benefits. If you would like to partner with the Brighton Chamber to promote your business, please let us know. These changes reflect a new, more aggressive direction for the Brighton Chamber in 2012 that focuses on short term ways to help make your "cash register ring"; improve the general economic development in Brighton and promote more effective communication. The website was re-designed by Chamber member, Nelson Lopatin, of USWebsites.com. Get active today and promote your business today! Upcoming Event: Toastmasters Demo Event | FREE to members. Registration required. Guest Speaker & Topic: This will be a demonstration meeting to learn about becoming a stronger public speaker and leader. Interested parties may join together to form a new Toastmasters club. This event is co-sponsored by The Brighton Chamber of Commerce & Medaille College Rochester. Upcoming Event: Annual Members Meeting | FREE lunch for members! Registration required. Cost: FREE for members (registration is required) | $25/pp for non-members Click here to register. Upcoming Event: Networking Opportunity | FREE! Registration required. What: Come at 7:30am and you'll have an opportunity to network with some of the best & Brighton-est! 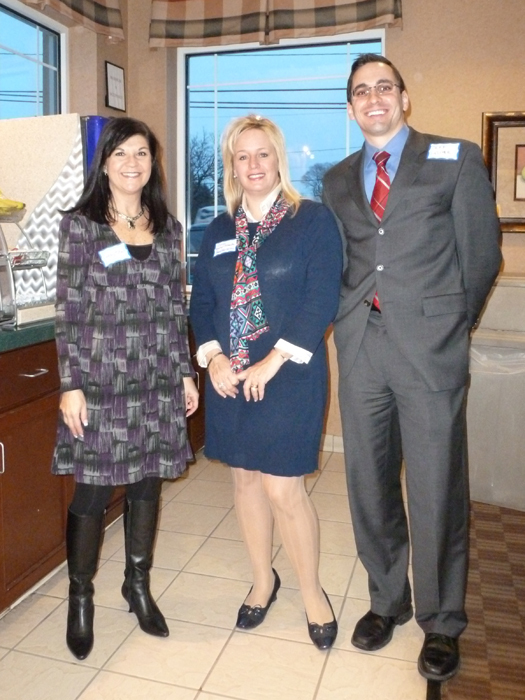 Chamber member, Marci Miller will offer a brief presentation on the Holiday Inn Express. Invited guests will included elected officials from around the area. Bring extra business cards or other business promotional materials. A nibbles & beverages will be provided at no charge!! Cost: FREE but registration is required. Click here to register. RJF Marketing | 10% off to all Brighton Chamber members until January 30, 2012. If you haven't already renewed your membership for 2012, you can do so by clicking here. 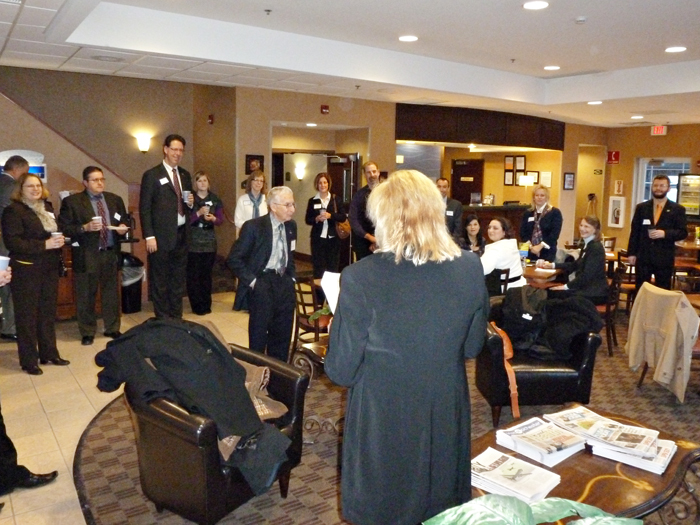 The Brighton Chamber of Commerce's board of directors took a tour of the Chamber's newly redesigned website at it's December, 2011 meeting. The tour was conducted by the site designer, Nelson Lopatin of USWebsites.com. The new website is designed to be easy to use for members, prospective members and consumers who may wish to learn about the Chamber and businesses in Brighton. The site includes a searchable database of member businesses. Prospective Chamber members will be able to submit an application for membership online. An integrated events calendar will allow users to find out and register for Chamber events. A "Members' Only" section of the website will allow members to renew online and receive member's only communication and offers.